Why should Mets fans care about third place? If someone had told me on Opening Day that in late August, the Mets would be two games behind the Phillies and a game and a half ahead of the Marlins, I would have looked forward to the Mets playing meaningful games in September. Unfortunately, this three-team battle is not for first place, but for third place. But according to the New York Post, the Mets want to finish third "with the idea of creating a more positive perception of the Mets heading to the offseason." Even for the Mets, this is nonsense. Heading into Tuesday night's game, the Mets are 59-69, 18 1/2 games behind the Nationals and 13 1/2 games behind the second-place Braves. The Mets are 13-29 since the All-Star break. If they continue at a similar pace and go 13-31 in their remaining 34 games, they will finish with 90 losses. If the Mets go 72-90, it will be small consolation if the Phillies and Marlins do even worse. Last year, the Mets were 77-85. In 2010, the Mets were 79-83. The Mets will have to go 18-16 the rest of the way just to match 2011's record. Otherwise, it will be the second straight season that the Mets failed to match the previous season's lousy record. As the Mets prepare to do battle with the Phillies and Marlins for the extremely mythical third-place trophy, let's not forget that the other two teams already wrote off the season when they were major sellers before the trade deadline. But while the Marlins may be headed back to cut-rate franchise status, the Phillies continue to have a large payroll and the will to spend to contend. The Phillies remain a major-market team. The Mets, meanwhile, appear to have no plans to increase their mid-market payroll. If the Mets want to create a more positive perception in the offseason, they re-sign David Wright and R.A. Dickey and find a way to upgrade their hapless outfield. "We're Number Three" isn't going to cut it. 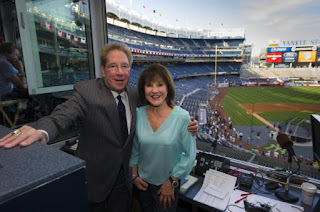 On the Yankees' debacle and Penn State getting rid of "Sweet Caroline"
Now the Yankees have just a 3.5 game lead over the Baltimore Orioles, and a 4 game lead over the Tampa Bay Rays. The standings of the last week or so are a little too close for comfort for me. Oh, and Mark Teixeria is out for the next week or so due to a strained calf. Oh joy. Then I saw something this morning that got me even more ticked off. I was watching Pat Kiernan's "In the Papers" report on NY1 this morning, and I saw that the New York Daily News had half of its front page devoted to eviscerating Penn State for getting rid of playing "Sweet Caroline" during football games. The song's lyrics talk about "touching me, touching you," although the school denied that this had anything to do with them ditching the song in the wake of Jerry Sandusky molestation scandal. Weiss is dead wrong here, and I applaud Penn State for getting rid of this song. He's setting up a straw man here -- nobody is saying that dumping the song will fix things but him. However, if the school were to keep this song, they would indeed be mocked for it. 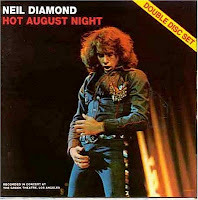 Neil Diamond has said he wrote it about Caroline Kennedy. She was all of nine years old at the time. Tell me, how is this appropriate to write this about a little girl? Anyhow, getting rid of this horrible and sick song is the right move on Penn State's part given the Sandusky scandal. Come to think of it, I also hope Penn State also ditches Gary Glitter's "Rock and Roll Part II" if they play that one, too. You're welcome. Squawker Jon and I were at dinner Friday night when I got the following alert from the Boston Herald on my iPhone "Red Sox working on trading Adrian Gonzalez, Carl Crawford, Josh Beckett and Nick Punto to LA Dodgers." I couldn't believe it -- I was thinking for a second that the Herald got hacked or something! What a jaw-dropper! That's the type of trade idea you hear on late-night sports radio, as Lori Rubinson of WFAN noted on her show Saturday night. Thursday morning, Dylan Hernandez of the Los Angeles Times wrote an article suggesting such a trade, and by Saturday, the deal was done! I've heard a variety of Red Sox fans say that they felt like they got their team back. (Who knew that Nick Punto was History's Greatest Monster!) I've said this myself in Subway Squawkers that this Sox team needed to start cleaning house with the team in order to move forward. When you have people like A-Gon who writes a text message to ownership whining about his manager, then throws the recently-traded Kelly Shoppach under the bus for it, you have a pretty toxic environment. Not to mention what a jerk Beckett is. I do think Carl Crawford got a raw deal in his time in Boston, though, but now he gets a fresh state in LA. It looks like the inmates may no longer be running the Sox asylum -- Alfredo Aceves threw a fit Friday and got suspended by the team for it. When was the last time you heard something like that happen? Anyhow, Boston is out of it for this year, but I think they will be contenders again soon. It's not just that they dumped literally 200+ million in payroll, but they got rid of a huge jerk, and an up-and-coming one. But I do have to wonder that if the Yankees tried to make such a trade, would people complain that it was unfair or something? You know how it is when it comes to the Yanks! 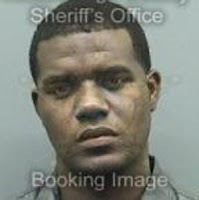 How much did Yankee Michael Pineda need to drink to have a .128 blood alcohol level? Here's yet another reason to hate the Jesus Montero/Michael Pineda trade -- Pineda's DWI arrest Monday in Tampa. According to a police report that the New York Post saw, Pineda's SUV's headlights were turned off and he was driving at "a high rate of speed and weaving from side to side, crossing the lane markers, failing to maintain [a] single lane of travel." The officer said that Pineda had "a slow/lethargic mannerism and appeared to be intoxicated,” with a "fixed gaze" and "bloodshot, watery & glassy” eyes. Ladies and gentlemen, this is the guy the Yankees received in exchange for giving up their best prospect! Great move, Cashman! Glad you checked out this guy's character so well! I highlighted the areas above that show what it would have taken for Pineda to get a .128 blood alcohol level. What it all means is that the minimum number of drinks Pineda would have had to consumed was not three but between nine and ten. And that would only be that "small" a number if he drank them all at once! If were drinking for a few hours, he would have had to have had a lot more to drink to hit that BAC number. See the highlighted figures above for a breakdown of how much he would have needed to drink. For his part, Pineda told the New York Post that he only had “'three or four' whiskeys with cranberry juice over 'three or four' hours" on Sunday night. That is clearly not true. If he had, his BAC numbers would have been perfectly legal. (You may remember from drivers' ed that it generally takes one hour to metabolize one drink.) Instead, it's more likely that he had 12 to 14 drinks in that time frame, as seen above. Pineda also told the Post that he was "driving very smoothly." Yeah, right. Nothing's smoother than driving at 2:30 in the morning with no headlights on! Some have compared him to Carl Pavano hitting a garbage truck with his Porsche when I told him the news about Pineda. 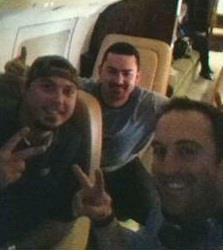 But in Pavano's case, he wasn't drunk; he was just a sober dumbass. Pineda's a drunken dumbass. As for Pineda, the Yanks better take this arrest seriously, instead of continuing to do the "no comments" they've been saying. These numbers seem to show that the dude has some real issues. Meanwhile, Jesus Montero, who has played over 40 games at catcher this year, is hitting .261/.302/.394 for the Mariners in a pitchers' park, with 12 homers and 46 RBIs. (His away numbers are .323/.357/.480 -- imagine what he would be hitting in Yankee Stadium!) And yes, he's outperforming Russell Martin, the Yankees' current catcher. Thanks, Brian! I have been greatly enjoying the season-long meltdown of the Boston Red Sox. As if last year's fried chicken and beer brigade (and September collapse!) weren't fun enough, this season has had all sorts of schadenfreude for those of us in Yankeeland. Now things have gotten even more ridiculous for the Real Housewives of Boston -- because, frankly, that's what these ballplayers most resemble. The Sox fight like a bunch of mean girls, complete with snide little asides. Good grief. The latest story is from Yahoo! Sports: Jeff Passan reports that Adrian Gonzalez sent a text message to the team's owners, whining about Valentine leaving Jon Lester in to get shelled in a July game. So, instead of Red Sox's ownership telling him where to go with his complaints, ownership agreed to the meeting, which apparently had as many as 17 players. Oh, the meeting was at the Palace Hotel in New York, just before the Yankees series. Way to prioritize for the big series, guys! So, as Uncle Mike called it, their "Malice at the Palace" event consisted of a bunch of whiny players like Gonzalez and Dustin Pedroia complaining about mean ol' Bobby V. Look, we've all had our share of bad bosses in our life, but the Sox have zero room to complain after last season. These so-called leaders did nothing to clean up their own clubhouse when Josh Beckett and John Lackey and the rest of the "I like beer" crew got their drink on during games. They cost Terry Francona his job, and now they they whine like little girls about big bad Valentine. You would figure that Sox ownership would tell them to drink a nice steaming cup of shut the bleep up about any of their players complaining about the manager, especially ones underachieving this year like Pedroia and Gonzalez. But since Boston puts the fun in dysfunction, they actually had this dopey meeting. It seems like it went as well as one of those "Real Housewives" reunion shows. No word if there was any hair pulling. If there anybody who has an undeserved reputation as being a great leader, it's Pedroia. Among other things, he posed with a sleeping Valentine for a photo making fun of the manager, which got sent around the team. Can you imagine any Yankee pulling such nonsense? Pedroia is a world-class jerk. You have to wonder if Pedroia (and for that matter, Gonzalez) is tanking it this year to get Valentine fired. Classy. It's funny -- Derek Lowe should be happy the Red Sox didn't want him. He dodged a bullet there, and is now with a functional, calm team. The Yanks are more like the 2004 Red Sox than the 2004 Yankees these days, and the Sox are like the Bronx Zoo Yankees, except for not being able to win! As for the Red Sox, Bobby Valentine is not doing a good job as manager. But when you aren't able to pick your own coaches, and certain spoiled brat stars are going to tank the season to get you fired, then it's hard not to feel a twinge of sympathy. Of course, every time Valentine looks a little sympathetic, he will do something stupid. At any rate, these are good times to be a Yankee fan! We have our winners of the Johan Santana no-hitter DVDs! 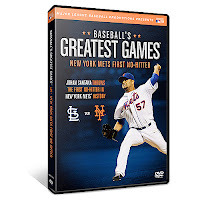 Five Subway Squawkers readers have won copies of "BASEBALL’S GREATEST GAMES: NEW YORK METS FIRST NO-HITTER," courtesy of A+E Home Entertainment/MLB Productions. 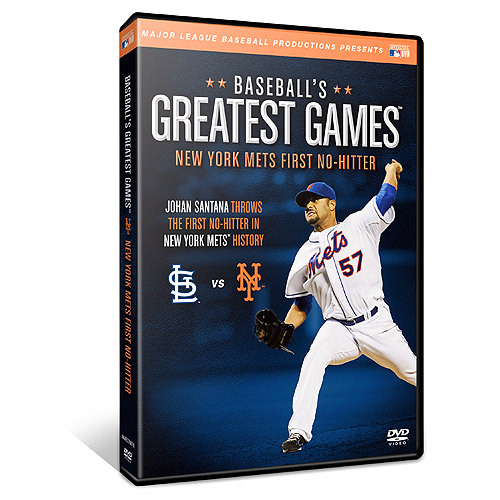 The DVD is available online at the Mets' online shop and in the Mets Team Store. We asked those entering the contest to tell us at what point during the game they first started to think that Santana might actually pitch the Mets' first no-hitter. Taryn and I were doing laundry that night so I had to listen to the first two innings on the radio. We got back home in time for me to notice that both Santana and Adam Wainwright had not allowed a hit through two innings. When both pitchers got through three innings with neither team collecting a hit, that was when I first started thinking about the no-hitter for Santana. I said to myself, "Santana might have to throw a no-hitter to beat Wainwright tonight". In the bottom of the fourth inning, David Wright broke up Wainwright's no-hitter and started a two-run rally. Once the Mets had the lead (and some hits), my full focus turned to Johan's attempt to make history. After the Cardinals went down in the fifth inning and still did not have a hit, Taryn decided she was going to go to the supermarket after the next inning. I decided I was going to stay home. When Carlos Beltran didn't break up the no-hitter on the ball that kicked up chalk down the left field line, I really started to feel that I was watching something special. But Johan was already approaching 100 pitches and felt there was no chance Terry Collins would leave him in the game, especially considering his injury from the previous year. As odd as it may seem, part of me wanted Johan to give up a hit because I didn't want the team's first no-hitter to be a combined effort. It wouldn't feel right to see a reliever celebrating the final out instead of a deserving starter. Notice how I assumed the Mets were going to throw the no-hitter there. I was getting very confident about it at that point. That confidence grew in the seventh, when Mike Baxter made the play that will make him a Mets legend forever, a la Ron Swoboda for his World Series catch and Endy Chavez for his NLCS catch. After Johan had finished his seventh hitless inning, I called Taryn (who had left for the supermarket one inning earlier), telling her to rush back from the store because Johan was taking his no-hitter into the eighth. She made it back within a few minutes. In the eighth, I kept thinking that I had been in attendance at Shea Stadium the last two times a Mets pitcher took a no-hitter into the eighth inning, but both Tom Glavine and John Maine fell four outs short of making history. When Santana got the first two outs of the inning, that was the one time I felt a lack of confidence. It was slight, but it was there. But then he induced a harmless infield pop-up that ended the inning. He was now only three outs away. Only five weeks before, I had written a fairly lengthy piece on the Mets' lack of no-hitters, discussing interesting coincidences and anecdotes surrounding the topic. I then realized that piece might be rendered obsolete if Santana could get three more outs. I didn't mind that at all. Taryn was sitting on the floor and I was sitting on the couch. Neither of us moved throughout the entire ninth inning. When Matt Holliday hit a first-pitch soft liner to center, Taryn thought for sure that the no-hitter was over. It wasn't. Andres Torres raced in and caught the ball in shallow center. Then Allen Craig hit a fly ball to left field. Although Kirk Nieuwenhuis took an odd circuitous route to it, he made the catch and Santana was one out away from baseball immortality. David Freese came up and Santana threw him three consecutive balls. Although he had now thrown 131 pitches, I wasn't concerned with the pitch count. I knew that even if walked Freese, he wasn't going to be taken out of the game. It was his no-hitter. No one was going to share it with him. Then came a called strike. Two strikes away. That was followed by a slow topper down the third base line. As soon as Freese hit it, I thought of Paul Hoover hitting a 30-foot swinging bunt that ended John Maine's no-hitter in 2007. That ball stayed fair. This one went foul. Santana was now one strike away from the moment all Mets fans had been waiting for from the first time they said "Let's go Mets". As Gary Cohen said on the air, "it has happened". And it did. Johan Santana had finally gotten the monkey off the team's back. The Mets finally had their first no-hitter. No longer did we have to keep track of the number of games the team had played without a no-hitter. (It was at 8,019 before Game No. 8,020 ended the no-hit drought.) After two innings, I first started thinking about it. By the time the Mets took the lead in the fourth inning, I really started thinking about it. By the seventh inning, I knew Santana was going to get it. Two innings later, he did. It was a moment I'll never forget (as you can see by this detailed recap of it). I'm sure it's a moment all Mets fans will never forget. Thanks for holding this contest, allowing me to share one of my greatest memories as a Mets fan. Let's go Mets! Being in Nashville, I don't usually get to see the Mets play, so I live vicariously through what I can get from MLB At Bat & Twitter. I was having a catch-up evening with an old acquaintance, and I checked my twitter feed between our dinner and trek for coffee. Keith Olbermann was the one whose tweets caught my eye that night. I think he first mentioned it in the 5th. Then the 6th came, and once the Beltran thing happened, I dared to believe. We got the bounce that we usually didn't, the call that goes against us (see: R.A.'s 1 hitter that came after) went for us, and we had a chance. We got our coffee and sat outside in a part of town called Hillsboro Village. Across from the coffee place is a sports bar. While eavesdropping on some Vandy students debating anarchy and government, a familiar hat logo caught my eye. One random TV in the sports bar across the street was showing the Mets game instead of the NBA. We hightailed it across the street, found the game set, stood around as inconspicuously as possible, and watched it finish. 30 years of waiting, and I actually got to see it. So sweet! Honestly, I was at my grade school reunion and was not watching the game. When the news came over my smartphone, the Met fans present had quite the celebration. I thought it was going to be a no-hitter after it ended. When I first started thinking Johan might pitch a no-hitter? Will Yankee Joba Chamberlain be following new rules? I didn't expect Joba Chamberlain to come back this season from his trampoline disaster in spring training. Heck, I wasn't sure if he would be be able to come back at all in his career. Yet there he was on August 1 in a Yankee game. Good for him. While he didn't pitch well yesterday -- he gave up four hits and two runs in 1 2/3 innings -- at least he was pitching in the big leagues again this season, and there is something to be said for that.